From May 2018, changes to the current MOT test are expected to make it more difficult for vehicles to pass their annual inspection. In a move to shake up the current testing structure and to adhere to new EU regulations the changes include new failure and defect categories, extra checks and emissions checks that may make owning a diesel a lot harder. Under the new test, defects and faults will be categorises as either Dangerous, Major or Minor. 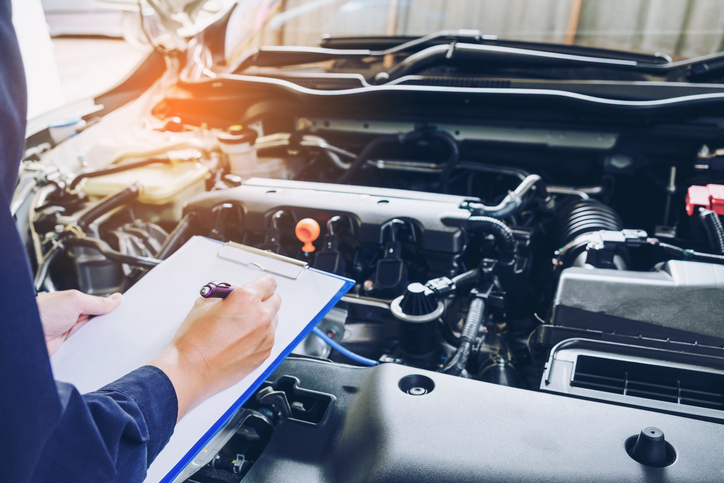 Minor – faults or defects that aren’t severe enough for the vehicle to fail the test and do not affect the general running or safety of the vehicle but will still be marked on the MOT certificate. Major – these issues require work and for the vehicle to be retested. Dangerous – faults and defects that deem the vehicle non-road worthy and make the vehicle illegal to be driven in its current condition. The new categories have been put in place so that drivers are not encouraged to drive away from the garage in an unsafe vehicle and to have any issues dealt with at the time. The DVSA revealed that more that 25% of cars in the UK are overdue their MOT, meaning these cars are potentially unsafe for the roads. As part of the new test, rigorous checks will be carried out on diesel cars fitted with a diesel particulate filter (DPF) that produce “visible smoke of any colour”. In the event that smoke is produced, the car will be given an automatic ‘Major’ fault and will fail the test. Testers will also check the DPF and whether it has been removed or tampered with. In these cases, the tester can refuse to test the car altogether, unless the owner provides a legitimate reason for it being removed or replaced. In a controversial move which some deemed ‘unsafe’, cars which are older than 40 years old may not be required to undertake an annual road test. Which, by recent statistics, means that 1.5% of cars in the UK will not have a MOT certificate but will still be deemed road legal. In order to defend its decision, The Department of Transport argued that owners of older cars tended to keep their cars in good condition and don’t use the often enough to warrant an annual road test. In addition to the new categories, other components of the vehicle will be checked under the new test. Components such as steering (steering box leaking would be a Minor, but dripping badly would be upgraded to a Major), anti-theft devices, noise suppression systems, fog lamps and daytime running lamps will also be checked during the MOT. By driving without a valid MOT would mean you could face a hefty £1,000 fine, so make sure you never forget your MOT due date by signing up to the DVSA reminder service. How to plan your own spring budget With the Government announcing its annual spring budget recently, setting out its plans for the country’s economic future, is it time you started thinking about your own spring budget and planning for your next car? All you need to know about an MOT Is your annual MOT something you dread? Or have you just had your first ever reminder through the post and are wondering what all the fuss is about? Keeping your body(work) beautiful The experience of visiting a bodyshop is one that most of us would prefer to forgo. Yet accidents do happen and when they do, it's important to know who to turn to.